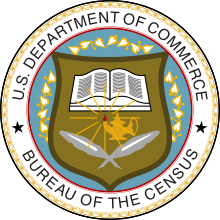 The Thirteenth United States Census was done by the Census Bureau on April 15, 1910. It found the population of the United States to be 92,228,496. This was an increase of 21.0 percent from the 1900 Census. This page was last changed on 11 August 2018, at 16:28.